Most solar generators today are able to convert about 23% of the sunlight into usable energy only about half of which is readily grid-available power. This value has been increased to well over 34% using a device with dual mirrored dishes that have been recently developed. Unlike conventional systems, the full 34% is directly available to the power grid. Incredibly, a single one of these devices is able to generate 75 to 85 megawatt hours, enough to supply power for about 24 typical UK homes. 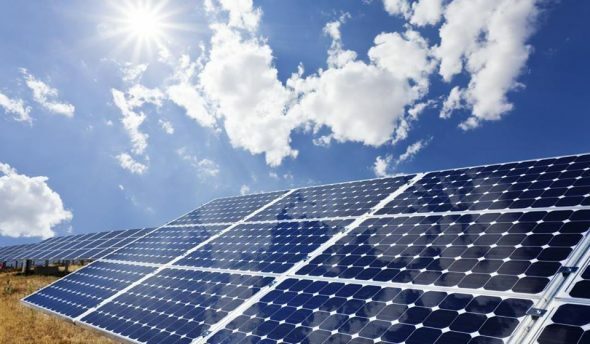 Another noteworthy innovation is with the efficiency of the solar cable which is used to make the full range of cable interconnections between the solar panels and the other components of a photovoltaic system. With improved UV- and weather-resistance and a broader operating temperature range, their durability and robustness extend the life of a solar electricity system and increase the mean time between failures (MTBF) rating of the system as a whole. Solar power is great, but if you are producing more than you need, an efficient method of power storage is necessary. Batteries are the solution, but have conventionally been heavy, inefficient and dangerous. A new battery technology will soon be available that will, according to its developers, “fundamentally change the way the world uses energy.” Not only will its efficiency be drastically increased, but it is expected to cost 60% less than existing solar power storage products. Although mainstream production solar vehicles are still several years away, great strides have nonetheless been taken recently both in the air and on the ground. Several months ago, Solar Impulse 2 completed the first circumnavigation of the globe in an aircraft with no fuel. In the Netherlands, the world’s first solar road has been generating more power than expected. The solar power it generates is fed into the grid and is being used for street lighting and traffic systems. This specific road is only seventy metres in length. Imagine the potential of such technology keeping in mind that there is an estimated 38 million kilometres of paved roads in the world. These and other innovations are leading the way for the further adoption of solar power as a viable, economical and easily deployable renewable energy technology.